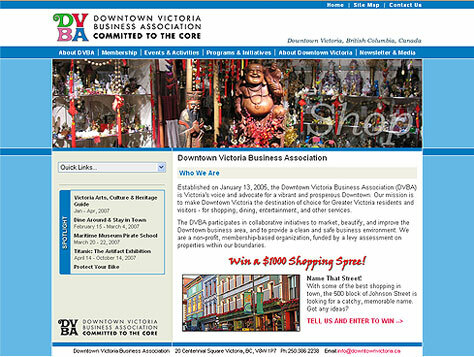 The Downtown Victoria Business Association (DVBA) is Victoria's voice and advocate for a vibrant and prosperous Downtown. Their mission is to make Downtown Victoria the destination of choice for Greater Victoria residents and visitors - for shopping, dining, entertainment, and other services. The DVBA participates in collaborative initiatives to market, beautify, and improve the Downtown business area, and to provide a clean and safe business environment. 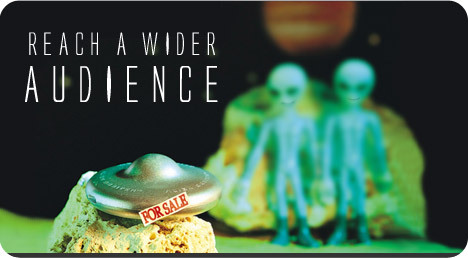 They are a non-profit, membership-based organization, funded by a levy assessment on properties within our boundaries. The DVBA needed a new web site to coincide with television, radio and other marketing strategies, and the web site has received updates to include a fully searchable downtown business directory. The web site also keeps an active list of upcoming events around town.